Sought-after address. Modern styling. Brand-new features. It’s the lifestyle you’ve been waiting for, and it’s now selling in Valencia. 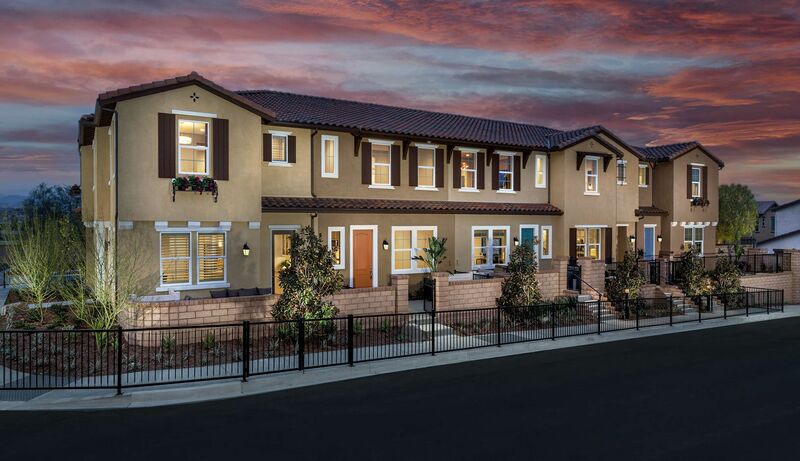 This is Paloma at West Creek—a collection of charming two-story townhomes with up to 4 bedrooms—from the mid $400s. That means good looks, inside and out. It’s all about Spanish inspiration on the outside. Head inside, and find the kind of design you’re coveting. Open floor plan? Of course. Kitchen island? Pull up a seat. Built-ins? If you so desire. Smart home technology? This is the modern age. Master suites feature walk-in closets, and throughout, space is optimized (linen, coat closets and storage), plus an upstairs loft, fourth bedroom or office in select residences. Townhome living at Paloma includes two-car garages with direct access, green spaces for the fur babies, and plenty of time to socialize around the pool with access to three private recreational facilities. You can head out for a run on Valencia’s storied paseos (there’s more than 30 miles of connected trails! ), get your game on at one of 24 area parks or at the Tournament Players Club golf course, or head to Valencia Town Center and The Patios for shopping and dining. It’s a rather remarkable proposition. From TRI Pointe Homes, a builder with a rather remarkable reputation.